A heavy-duty, electronic digital and combination lock safe will do the job if you're seeking a high level of security to keep your important possessions out of unwanted hands. But what good is this level of protection if you can't remember the combination? In the case of this Tank safe held in a metropolitan supermarket, the combination lock had been open for some time. Staff were only using the digital lock, leaving the other lock open. Unfortunately, it only took one person to spin the dial, locking the safe, and with no record of the combination, they were immediately locked out! Safecrackers were called to investigate and in a short amount of time, Kevin was able to manipulate the lock open. As the combination lock wasn't being used, it was deactivated leaving the safe operated by the digital lock only. The customer was back in business in no time! 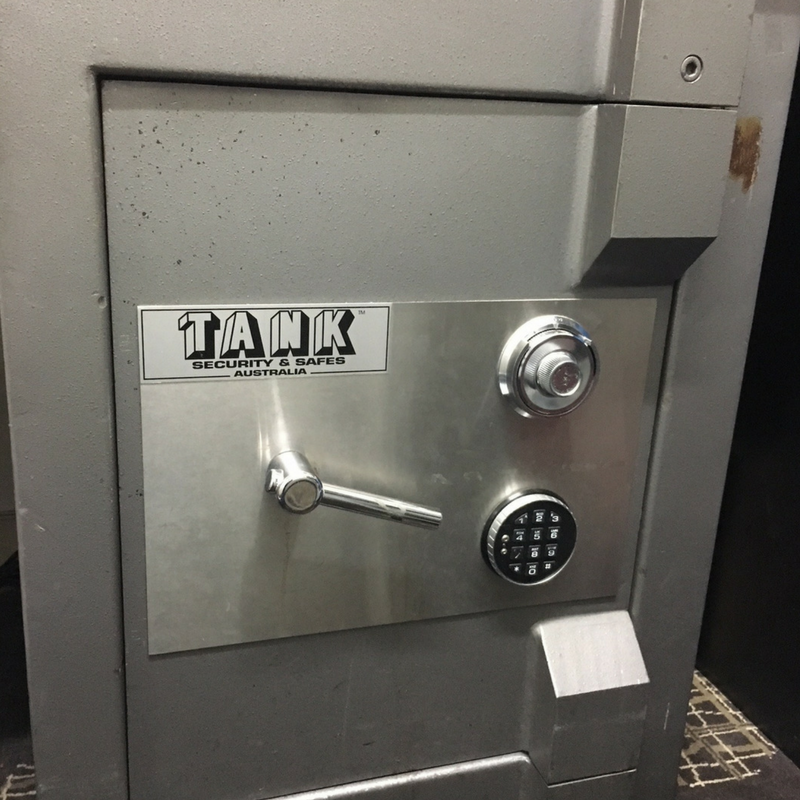 Tank digital and combination lock safe.